The aliens are coming to Earth, and they mean to destroy it. In Us vs. 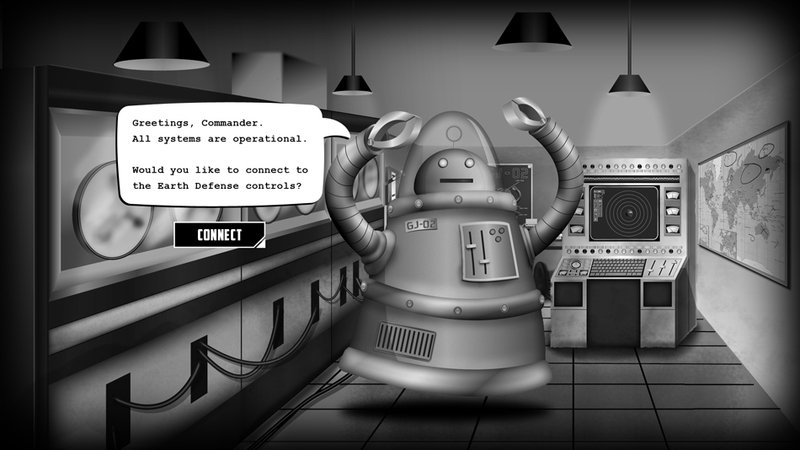 Them, you must defend Earth against an incoming alien attack. 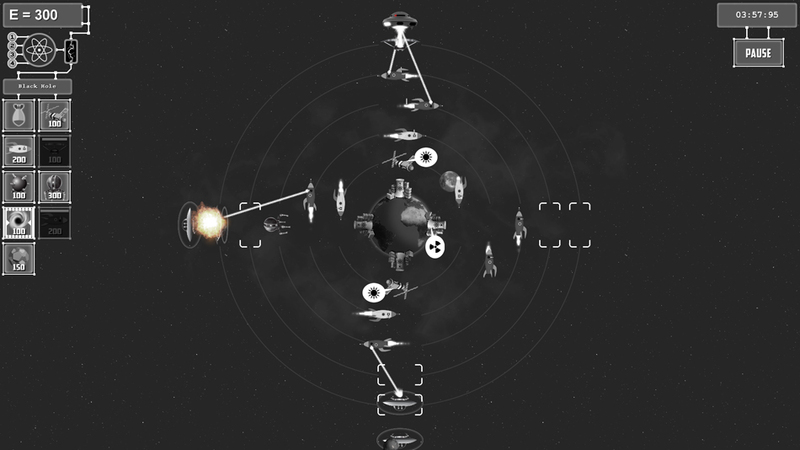 Place your units around Earth�s orbit to protect it against wave after wave of enemies. 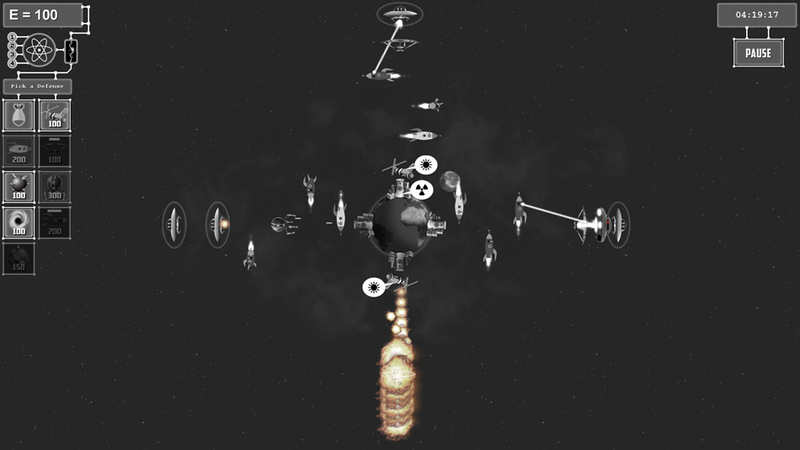 Rocketships, space mines and even black holes are part of your arsenal. You must protect Earth at all cost and eventually end this war once and for all. Us vs. Them is a strategy game where you must protect Earth. Use your wits to choose the right defense depending on the enemy that is attacking. Every mission brings a more difficult challenge with new enemies and weapons. The original idea for Us vs. Them came to me almost a year before it was implemented while I was brainstorming for new ideas for games. 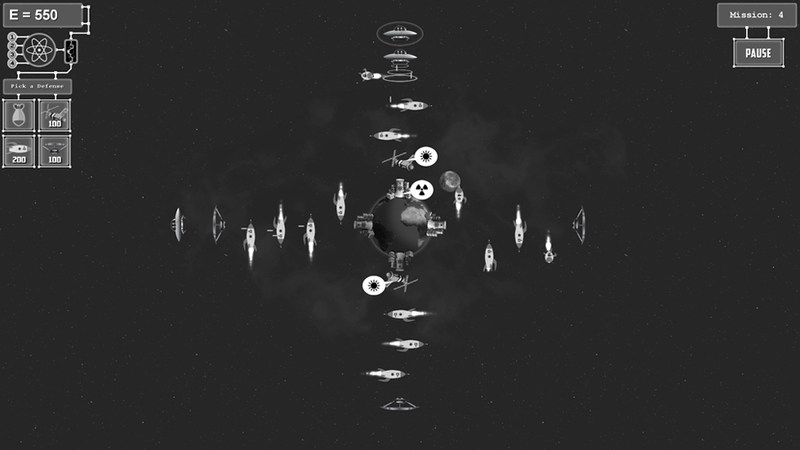 The original concept was to make a strategy game with some elements of Plants vs. Zombies but in space. Originally the game would have 8 lanes and the player could zoom in and out as well as rotate the entire level to see any lane from any perspective. Those functions made the game too complicated and did not provide any advantage to the player. I tried to make them work for a long time and then ended cutting them from the game. Development for the game started during a local gamejam where I met the artist and sound designer for the game and we immediately hit it off creating a prototype during the jam. A few months later the first release version was ready and we made it public. Us vs. Them is the first game that I've published in a platform store (Windows Store).